Gustavus Adolphus College senior men’s basketball player Seth Anderson (Minnesota Lake, Minn.) has been named a finalist for the 2012 Jostens Trophy. The award is intended to honor the most outstanding men’s and women’s Division III basketball players of the year, while also taking into account academic prowess and community service. Like every month, February is a busy time at Gustavus Adolphus College. Not only does February mark the beginning of Spring Semester and playoff time for many winter athletic teams, but it is also home to many annual events that make Gustavus the vibrant community that it is. Watch the following the video to get a snapshot of just some of the events that took place in the last 29 days. 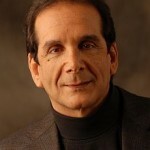 Pulitzer Prize-winning journalist and Washington Post syndicated columnist Charles Krauthammer will keynote the 2012 Lindau Symposium at Gustavus Adolphus College at 7 p.m. Thursday, April 12, in Alumni Hall. The event is free and open to the public and will also be live-streamed on the Gustavus website. Ed Bok Lee, a finalist for a Minnesota Book Award this year, will read from his selection of poems at 7 p.m. Monday, March 5 in the Melva Lind Interpretive Center at Gustavus Adolphus College. 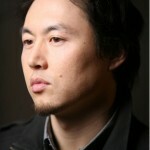 Bok Lee released his second book, Whorled, in September 2011. The Gustavus Adolphus College men’s basketball team has earned an at-large bid into the 2012 NCAA Division III Men’s Basketball Championship. 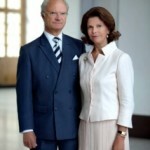 The Gusties will travel to River Falls, Wis. to take on Wheaton College of Wheaton, Ill.
Their Majesties King Carl XVI Gustaf and Queen Silvia of Sweden will visit Gustavus Adolphus College and the American Swedish Institute (ASI) in October 2012. The royal visit is in honor of the dedication of the American Swedish Institute’s new Nelson Cultural Center and other recent campus enhancements, and in celebration of the 150th anniversary of the founding of Gustavus Adolphus College by Swedish immigrants in 1862. An eclectic and impressive group of professional singers and dancers will appear at Gustavus on Sunday, Feb. 26 to help the College celebrate its first Brazilian Carnival event. Sponsored by the Organization of Latin American and Spanish Cultures (OLAS), this free event which is open to the public will take place between 6-9:30 p.m. in Alumni Hall. 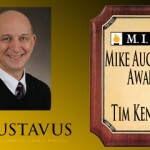 Tim Kennedy, Interim Vice President of Marketing and Communication at Gustavus Adolphus College, has been awarded the 2011-12 Mike Augustin Award based on his professional excellence and years of service and commitment to both Gustavus and the MIAC during his tenure as Sports Information Director. 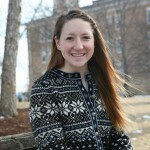 Gustavus Adolphus College junior Ally Voss was recently notified that she is the recipient of a Critical Language Scholarship for the summer of 2012. A program of the United States Department of State, Bureau of Educational and Cultural Affairs, the program offers intensive summer language institutes overseas in 13 critical need foreign languages. Building on the success of the College’s Summer Speech Institute, Gustavus Adolphus College will expand its summer academic camp offerings, beginning in the summer of 2012. 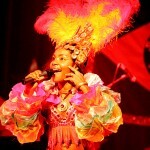 Summer programs will be offered in the areas of music, nursing, spoken word and poetry, and speech and debate.